Dr Kate Lloyd is Senior Lecturer in Human Geography at Macquarie University and is Director of the Development Studies and Cultural Change Program. Dr Lloyd is a development geographer focusing on transitional economies within the Asia-Pacific Region and crossings and connections within Australia's Northern Borderlands. Dr Lloyd began teaching at Macquarie in 2002 and prior to this had lived and worked in the Asia-Pacific region for many years. Dr Lloyd's research focuses on transitional countries and in particular on Vietnam's transition from a command economy to a socialist market economy. Using tourism as a lens to investigate state and societal responses to globalisation and change Dr Lloyd has been involved in a number of projects in Laos, PNG and most recently Northern Australia which examine the relationships between community, industry and government in developing sustainable tourism outcomes. 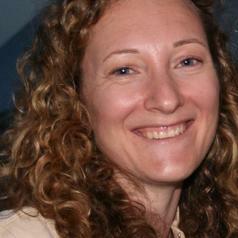 Her current research focuses on crossings and connections in Australia's northern borderlands where, with her colleagues Dr Sandie Suchet-Pearson and Dr Sarah Wright, she has highlighted the importance of quotidian experiences of the border through an investigation of quarantine practices, tourism as development and storytelling. Together they are working with indigenous communities and government departments in North East Arnhem Land to explore opportunities that tourism can offer in seeking self-determination. Dr Lloyd is also involved in using experiential learning and online role plays to develop learner's understanding of multiple perspectives of issues related to development and technology within the Asia-Pacific region. These learning tools are integrated into the assessment of her units and their design is guided by principles of collaborative and peer learning and experiential learning. This arouses student's curiosity by providing them the opportunity to 'live' in the learning events rather than simply attending them.